Rio 2016 is underway and we have seen plenty of conversations surrounding individuals making history and breaking records. 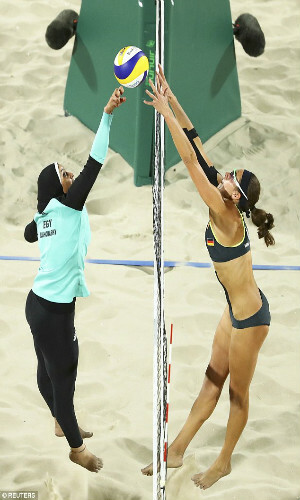 One particular image that has been circulating and was deemed as “clash of civilizations” is from the volleyball match between Germany and Egypt. The hijabi athlete verses the woman in a bikini. To some it was deemed as “clash of cultures,” and others celebrated that the love of a sport brought these women together and nothing else should matter. I agree with the latter and those who highlight the differences are showing their ignorance and perpetuating the stereotypes of Muslim women. Additionally, contributing to objectifying a woman’s body, hijab or not. The important thing we should discuss is what about Doaa Elghobashy’s (Egyptian) partner the other Muslim woman, Nada Meawad. The one woman that is not covered. Is she not a Muslim? Or not Muslim enough? Nada is rarely mentioned and most of the images surrounding “the clash of cultures” shows the hijab vs. bikini. Though this image is empowering to the Muslim woman/girl that wants to compete in sports at the same time it is objectifying Kira Walkenhorst, the German athlete. It is also objectifying the hijab. When it comes to the hijab, images and stories are warped and twisted to discuss Muslim women mostly in negative context as victims. Athletes like Ibtihaj Muhammad are challenging that. Why the obsession with the hijab? Is it because the stark visible distinction since it is easy to discuss and see. As members of society are we so afraid to dive into deeper issues of societal differences? So what about the other Muslim female athletes that do not cover. Have they not faced trials and conquered their societies/cultures to compete? Are their accomplishments not worthy to highlight? Instead of talking about the Muslim women in the context of the “hijab” what about diversifying the conversations surrounding Muslim woman. Muslim women are just as diverse and the hijab is just one aspect of their identity so we should celebrate that. Not wearing the hijab does not take away from your “Muslim” identity. In regards to sports, she (the non-hijabi) is just as much of an athlete as her hijabi sister and non-Muslim fellow athletes. Yes, sports has the power to bring people together. However, as consumers and participants we need to expand our discussion outside of the hijab and discuss deeper issues such as the diversity of women, the objectification of women and the inequalities of women regardless of their background. I am going to start by apologizing that I haven’t had a chance to add content in the blog section often. I am currently working on updating and revamping this section and assessing what I want out of this blog. In the mean time I wanted to share a great article about women and sports and why its important. Aside from the benefits which I have already stated this one touches on the economic aspect. I will discuss this further in the future since that is topic is very dear to me. 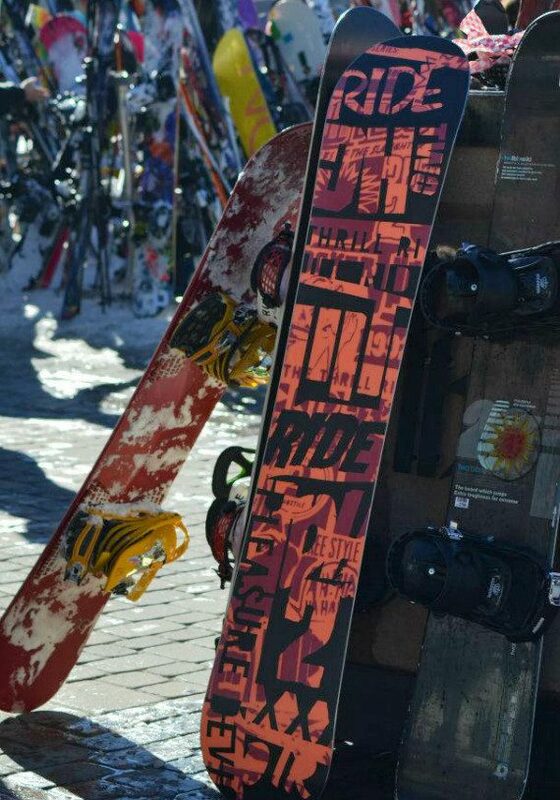 The upcoming posts will focus on women around the world and how they are being active.